Topical anesthetic indicated for the production of anesthesia of all accessible mucous membrane except the eyes. Use for surgical endoscopic or other procedures in the ear, nose, mouth, pharyx, larynx, trachea, bronchi, and esophagus. It may also be used for vaginal or rectal procedures when feasible. Cetacaine is a topical anesthetic indicated for the production of anesthesia of all accessible mucous membrane except the eyes. Cetacaine Spray is indicated for use to control pain or gagging. Cetacaine in all forms is indicated to control pain and for use for surgical or endoscopic or other procedures in the ear, nose, mouth, pharynx, larynx, trachea, bronchi, and esophagus. It may also be used for vaginal or rectal procedures when feasible. Cetacaine Spray should be applied for approximately one second or less for normal anesthesia. Only a limited quantity of Cetacaine is required for anesthesia. Spray over two seconds is contraindicated. Average expulsion rate of residue from the spray, at normal temperatures, is 200 mg per second. To apply, insert the Jetco cannula (J-4) firmly onto the protruding plastic stem on the bottle and press the cannula forward to actuate the spray valve. The cannula may be removed and reinserted as many times as required for cleaning, or sterilization, and is autoclavable. Cetacaine Liquid Apply 200 mg (approximately 0.2 mL) with a cotton applicator or directly to tissue. Do not hold the cotton applicator in position for extended periods of time, since local reactions to benzoate topical anesthetics are related to the length of time of application. Liquid in excess of 400 mg (approximately 0.4 mL) is contraindicated. *See Cetacaine Liquid Kit instructions for additional directions for application by Luer-lock syringe and delivery tip. Cetacaine Gel Dispense and apply 200 mg of gel (a bead approximately 1/4 to 1/2 inches long) by gently depressing the pump. Application of gel more than 400 mg is contraindicated. Spread thinly and evenly over the desired area using a cotton swab. An appropriate pediatric dosage has not been established for Cetacaine Spray, Liquid or Gel. Dosages should be reduced in the debilitated elderly, acutely ill, and very young patients. Tissue need not be dried before application of Cetacaine. Cetacaine should be applied directly to the site where pain control is required. Anesthesia is produced within one minute with an approximate duration of thirty minutes. Each 200 mg dose of Cetacaine (Spray residue, Liquid or Gel) contains 28 mg of benzocaine, 4 mg of butamben and 4 mg of tetracaine HCl. Contraindications: Cetacaine is not suitable and should never be used for injection. Do not use on the eyes. To avoid excessive systemic absorption, Cetacaine should not be applied to large areas of denuded or inflamed tissue.  Cetacaine should not be administered to patients who are hypersensitive to any of its ingredients or to patients known to have cholinesterase deficiencies. Tolerance may vary with the status of the patient. Cetacaine should not be used under dentures or cotton rolls, as retention of the active ingredients under a denture or cotton roll could cause an escharotic effect. Routine precaution for the use of any topical anesthetic should be observed when using Cetacaine. Precaution: On rare occasions, methemoglobinemia has been reported in connection with the use of benzocaine-containing products. Care should be used not to exceed the maximum recommended dosage (see Dosage and Administration). If a patient becomes cyanotic, treat appropriately to counteract (such as with methylene blue, if medically indicated). Indications: Cetacaine is a topical anesthetic indicated for the production of anesthesia of all accessible mucous membrane except the eyes. 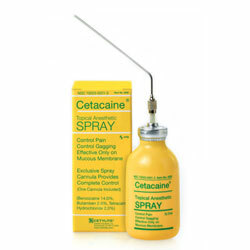 Cetacaine Spray is indicated for use to control pain or gagging.